Public Services students gave their time to help adults with learning disabilities complete work at Furzey Gardens in Minstead recently. 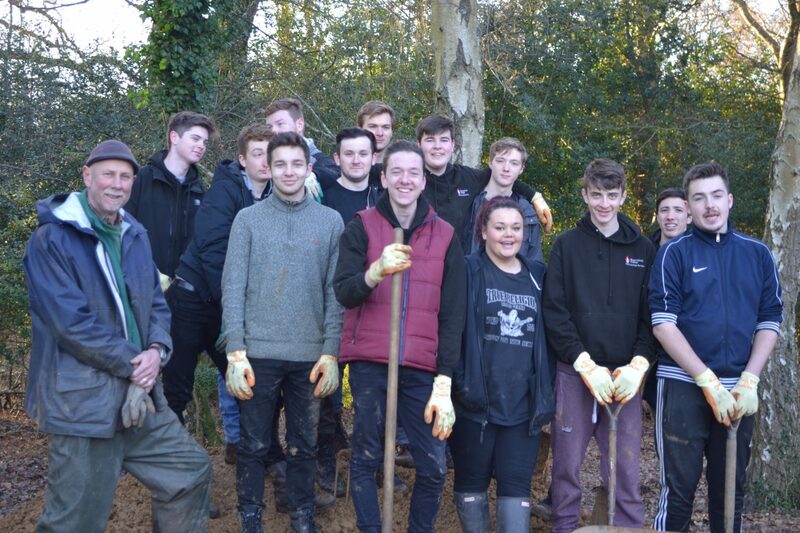 The group of 13 spent a day constructing two new hard surface gravel footpaths, which can be used by wheelchair users and families with pushchairs. Furzey Gardens, which is run by the Minstead Trust, offers adults with learning disabilities the opportunity to gain work experience, develop new skills and achieve greater independence. The initiative relies on donations and volunteers to continue improving facilities. It isn’t unusual for Public Services students to give their time in this way. They regularly spend afternoons volunteering, and are also part of the Hampshire Police Campaign Against Violence Group. Second year student Tom Moor said: “I enjoyed working at Furzey Gardens – it was hard but also a lot of fun.